The Ukiyo-e artist, Katsushika Hokusai (1760-1849) was born in Sumida, and created many world renown masterpieces during his near-90-year life. The Hokusai Museum was founded in Sumida in 2016. 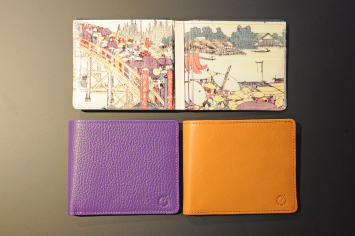 Azumaya, which was founded in 1914 in the same Sumida area, features Hokusai’s “Ryogoku Bridge” and “Portrait of a Beauty”. 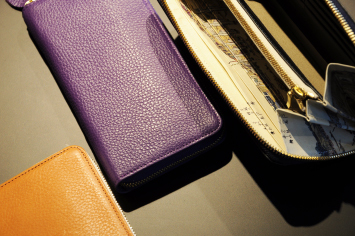 The surface is a fine Italian leather from MONFRINI, which was founded in 1898. 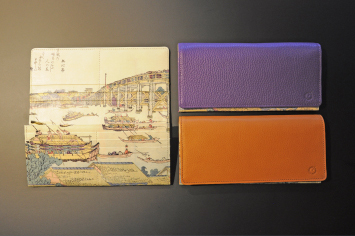 The interior is created with Sumida Cuir’s beautiful ink-jet printing technology. 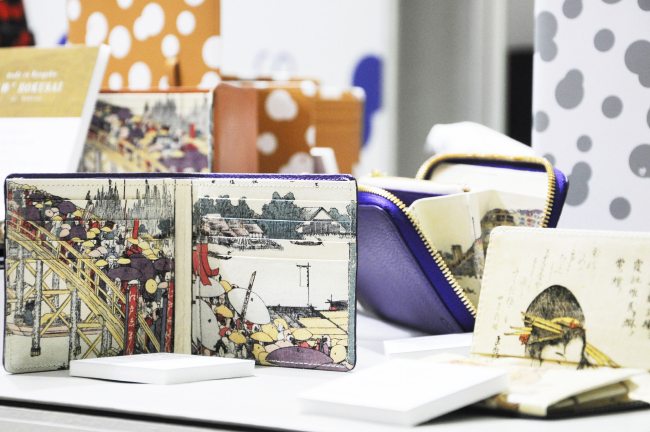 Our design, which matches the pattern even where several layers overlap, was awarded the 11th TASK Monozukuri Encouragement Award in January, 2017. The appearance is simple. And inside is an elaborate design. 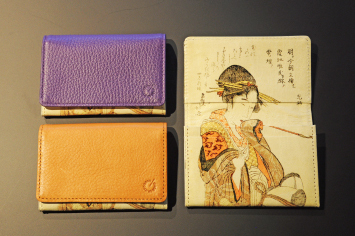 We hope you enjoy the IKI (*chic) Edo design through this everyday leather item.